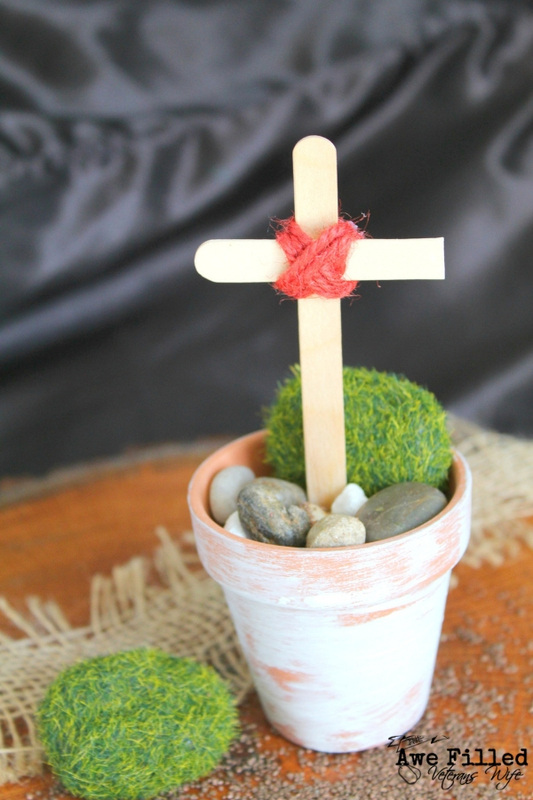 This Easter Cross tutorial is perfect for the upcoming Easter holiday. It’s one craft that has several different meanings. Easter is one of those holidays that people often have their own family traditions. 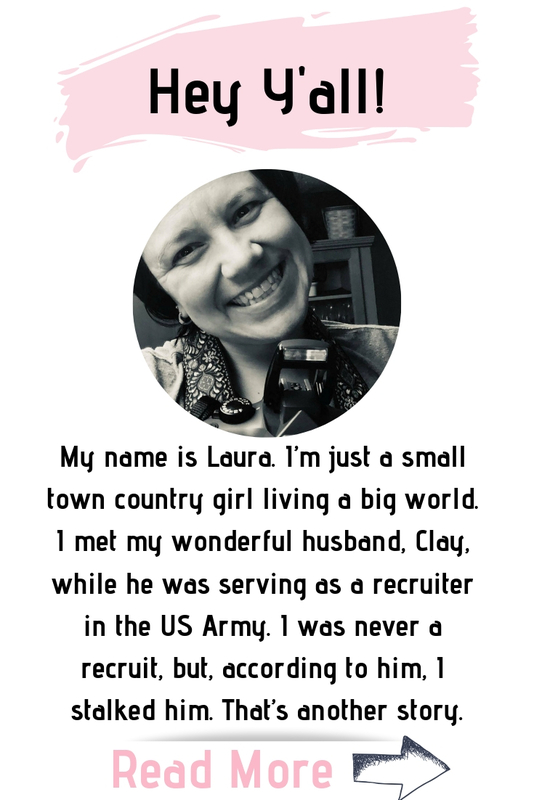 In our home, we like to wake up, have family time, attend church, eat great food, have an Easter egg hunt or two and do some sort of activity or craft together as a family. Nothing overly complicated, but always a ton of fun. I just love that Easter falls during Spring and the weather is just about perfect. You know what I mean, right? When you can just smell the flowers blooming in the air? It’s one of those feelings of pure joy and happiness. Most times it’s a clear day to celebrate the beauty of the meaning of Easter, but sometimes Mother Nature likes to throw a curveball in there and add a little bit of rain. The good news is that this craft is perfect for rainy weather or clear skies! We’ve made this craft both indoors and outdoors and never had any type of issues. It can also be a pretty cool idea to pack an Easter picnic lunch and bring all the supplies along for this craft. If you can find a picnic shelter with some electricity for the hot glue gun, that’s even better! 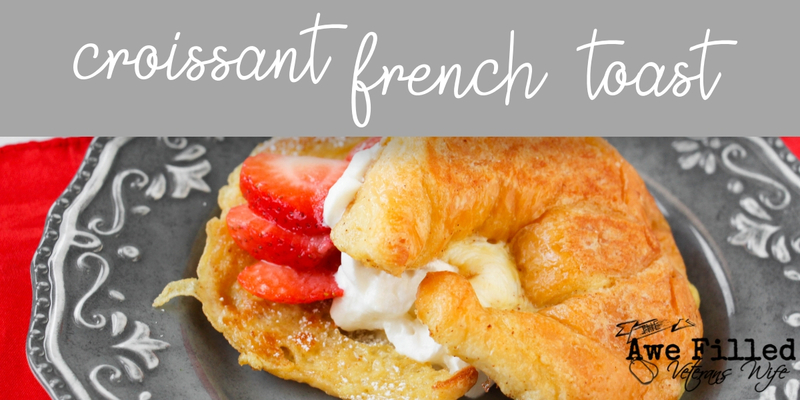 Try making these fun kids animal toast for your picnic! They are so cute! 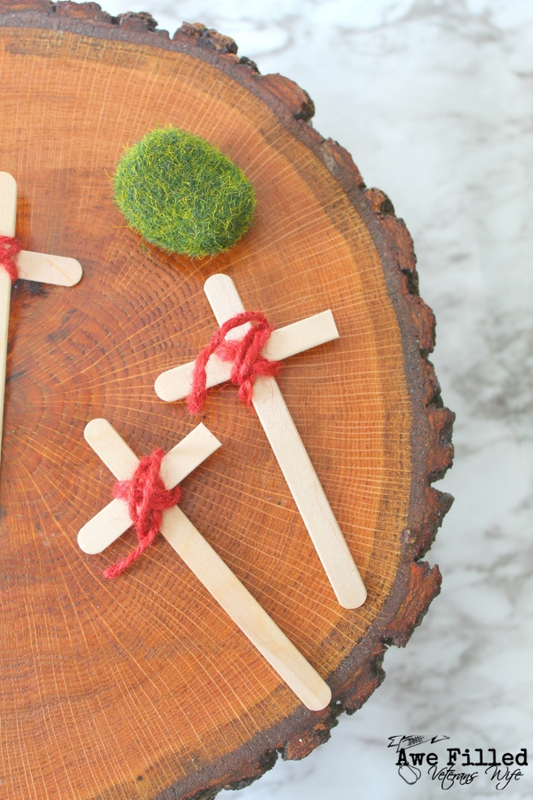 Can you use popsicle sticks for this Easter Cross Tutorial? 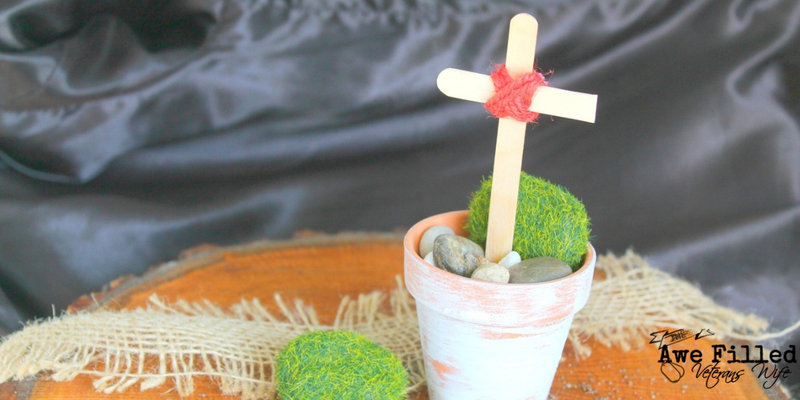 Does it matter what color of yarn you use with this Easter craft? Not really. Have fun with the color. Involve your child by letting them pick out the colors. If you’ve got some leftover yarn at home, you can always save a few bucks and just use what you have! Does this craft project need parental supervision? Yes! I highly recommend that an adult is present and helping with this Easter craft. Not only are scissors being used, but there is a need for a hot glue gun application as well. Hot glue is very hot and can burn little hands. 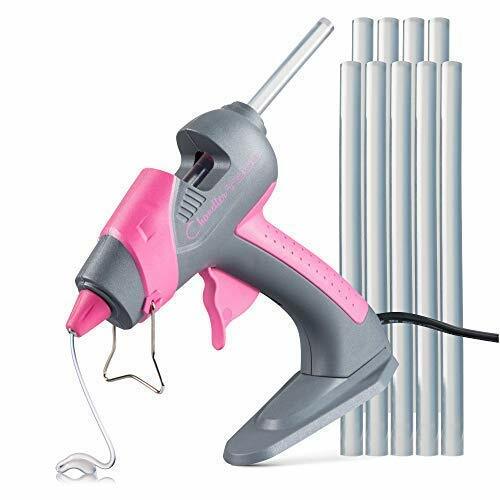 Not only is the glue hot, but so is the actual glue gun. 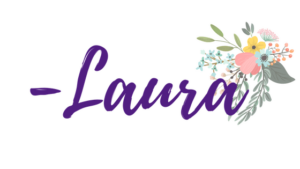 While you can let your child do it themselves, you also need to make certain that you are there with them to help if any issues or questions should arise. Would this be a good craft for school-aged children? Honestly, this craft is great for kindergarten and above. And with parental help, even preschool ages can do certain parts of this craft. If you happen to lead a Sunday school class, this is also one that is great for groups of children, too. Not only do they get to work with a lot of different mediums and texture, but they are getting to work on fine motor skills. 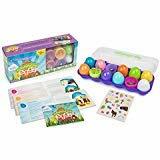 Plus, once everything dries, they have a beautiful Easter craft to celebrate the day! Ready to get started and learn how to make this adorable Easter cross? Here is the step by step tutorial to make it happen! 1. 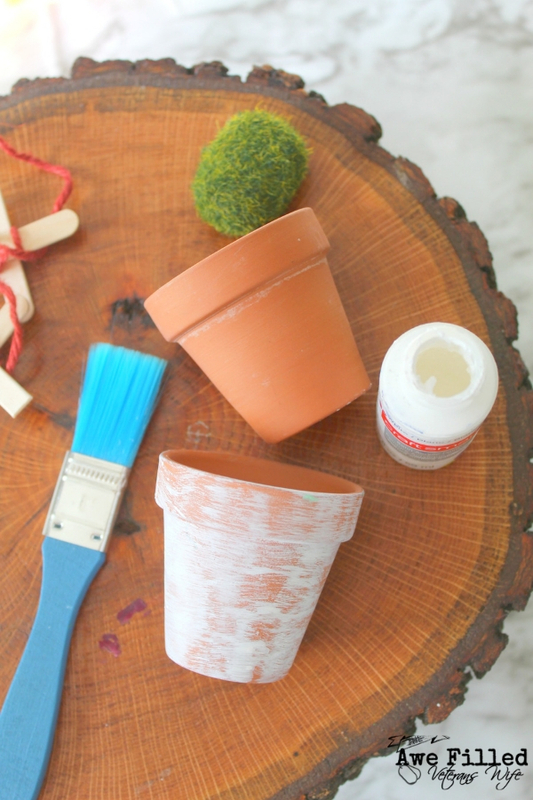 Begin by dry brushing the white paint onto the flower-pot. Brush lightly to give it a weathered look. Allow drying. 2. While the paint dries, prepare your cross. 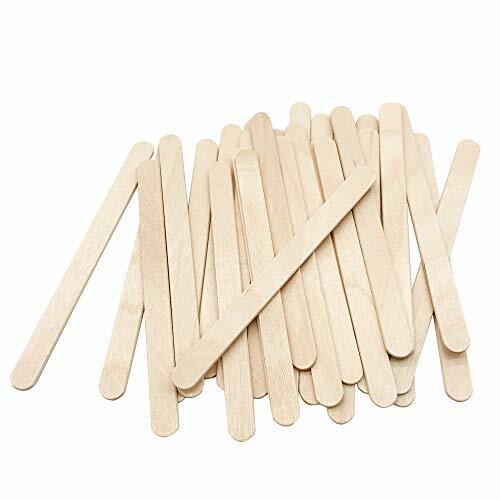 Take one craft stick and cut it in half. I find that scissors are actually good at this job. Take the half portion and use the twine or yarn to tie it to the larger, longer piece. 3. 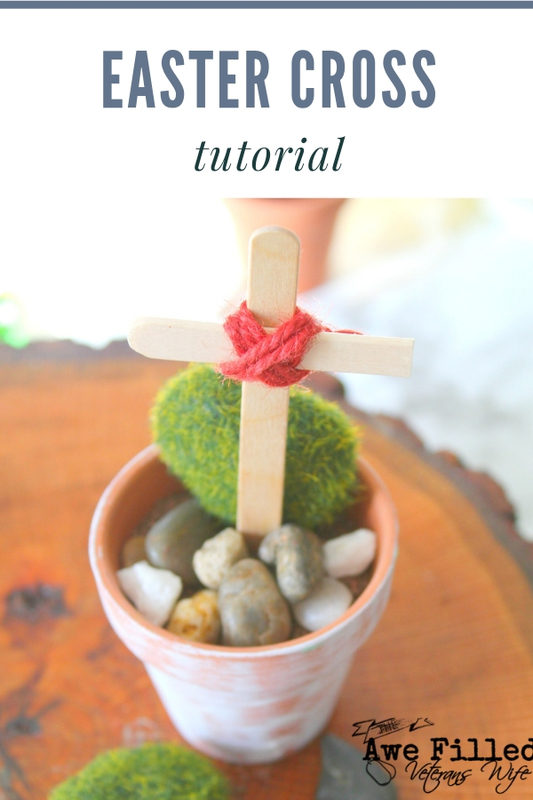 Use a dab of hot glue to secure the yarn in place behind the cross. 4. 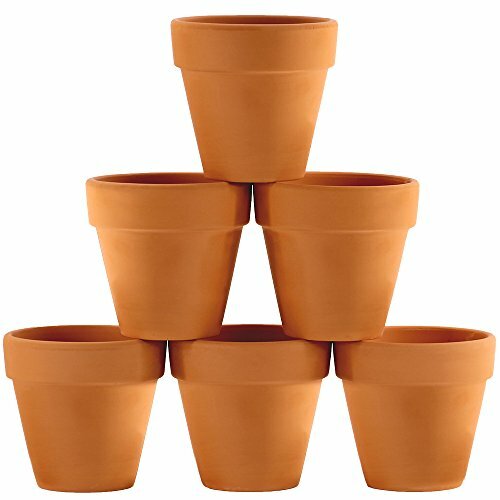 Fill your flower-pot with assorted stones and filler such as sand. You can also add the faux moss rock. 5. Press the cross into the flower-pot until secure. How adorable is that? It’s great for home decor or something that your little one can give as a gift. With Mother’s Day coming up soon, it’s even one that can be put back and gifted at a later point in time. With the Easter holiday approaching quickly, this Easter craft is a great idea to have the entire family make together. 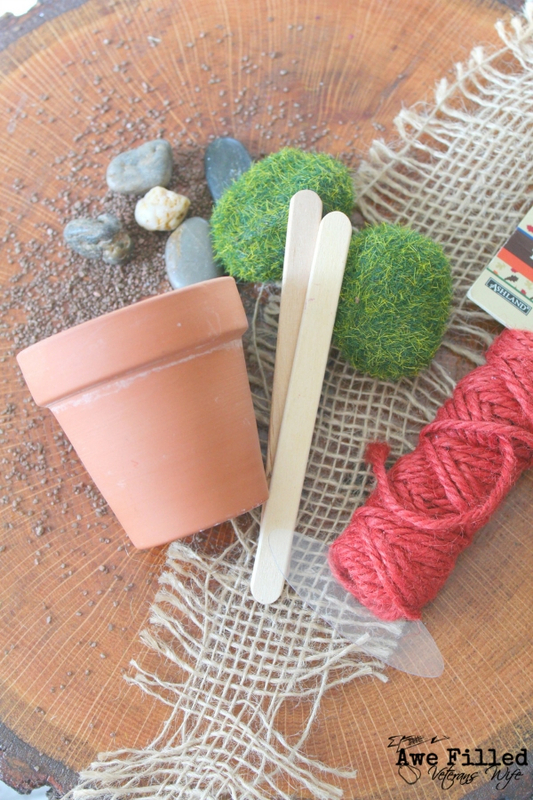 It’s simple, it’s doable and it’s one that all ages can enjoy crafting. Once everyone is done making their adorable Easter crosses, you can display them proudly in your home for all to see! Have fun with this simple, DIY Easter craft. You may find that you like it so much you make it every year for Easter! Easter will be here soon! 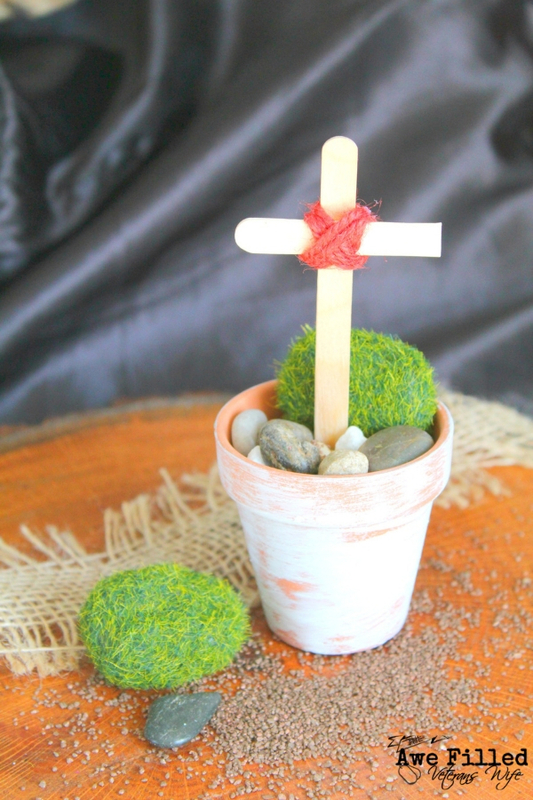 This Easter Cross tutorial is a great activity to do with your little ones for the holiday! We show you how to create your own! 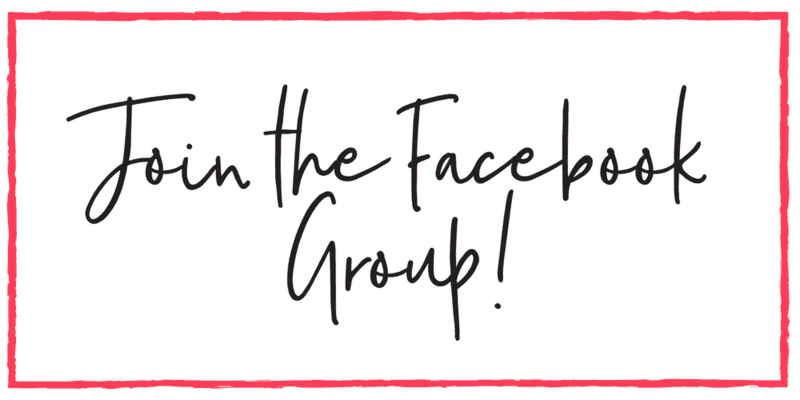 Easy, fun and great way to make memories! 1. Begun by dry brushing the white paint onto the flower pot. Brush lightly to give it a weathered look. Allow to dry. 4. Fill your flower pot with assorted stones and filler such as sand. 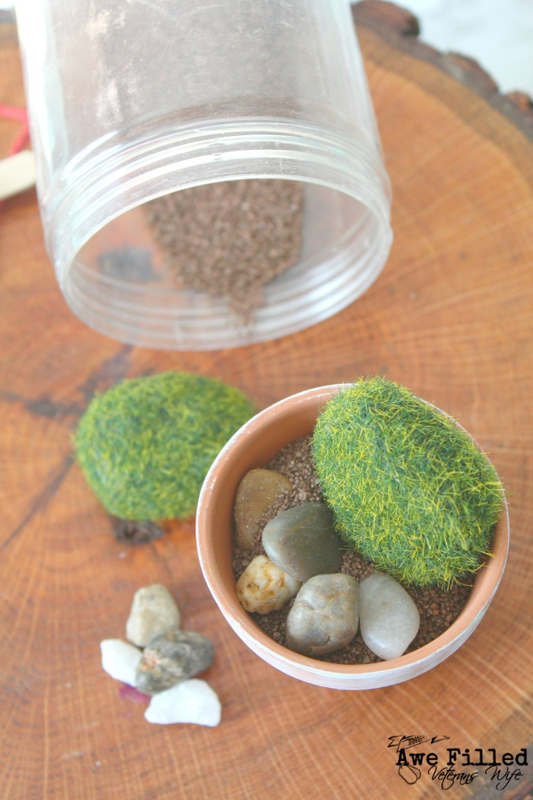 You can also add the faux moss rock. 5. Press the cross into the flower pot until secure.